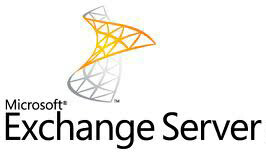 Get enterprise-class email service with Microsoft Exchange Server functionality… without the overhead. Is your company being disregarded due to the use of a public email service such as Yahoo or SBC? If so, Acumen is here to help you gain a bigger, better web presence! Take a giant leap forward with enterprise-class email features, at an affordable price. We provide unlimited storage for the great price of $10.00 per mailbox. If you are constantly being annoyed with messages telling you your inbox is full then we can help. The modern office depends on being able to access your email at all times, everyday. With our colocation always on servers you are assured of continuous access to your vital data. We offer smartphone Support at $5 for each Android/iPhone or $10 for each Blackberry device. In any email system the most obvious risk is virus infection. Included with our always on, reliable exchange servers comes virus protection. We protect your mailboxes long before you even have a chance to click on a virus laden message. We can white list messages from important clients and blacklist entire domains all at your request. We’re a full service Exchange Hosting solution provider and with our colocation servers you are always safe. Your data is backed up daily on our colocation server to ensure that you can never lose important emails. It’s more than important to back up your data, it’s a necessity in the modern business world. Don’t think your data is backed up, know your data is backed up. We can recover lost emails quickly and easily with our seamless backup system. No capital outlays for your organization in software and equipment! Always on, always safe, always. That’s our dedicated server solution. When it comes to your Exchange Servers; security, data safety, always on access, and peace of mind go hand in hand. Take a look at our pricing and see if we can provide the all-in-one dedicated server solution you need.